A WTOP Beltway Poll revealed that nearly two thirds of people in the Washington DC area perceive the primary role of speed and red light cameras is to generate cash for local governments rather than to improve safety. The WTOP poll, conducted by Heart+Mind Strategies, showed that 64% of those surveyed believe cameras are mainly revenue generators. Only 35% of those polled said they believed the main role of cameras was to make roads safer. Results were similar from respondents in Maryland, DC, and Virginia. The results of this poll would seem to be contrary to ones conducted by agencies and companies who run speed camera programs, which routinely claim that cameras are very popular. StopBigBrotherMD.org has in the past documented how speed camera programs are accompanied by massive public relations campaigns designed to sway public opinion and blunt opposition, which contract documents show specifically included the creation of favorable polls and manipulation of the media. 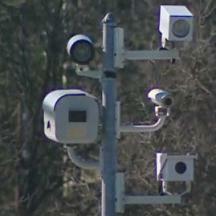 Speed and red light camera companies have also sponsored numerous front groups nationwide, often disguised as "grass roots organizations", including some local to Maryland, all designed to give the impression that photo enforcement is popular and to promote state and local legislation allowing photo enforcement.